Wilco have announced remastered reissues of their first two albums, 1995's A.M. and 1996's Being There. 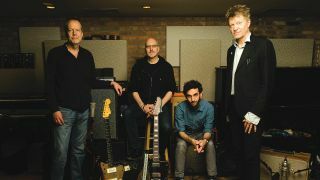 Wilco guitarist Nels Cline has announced a new solo album, Lovers.The album, a two-disc set of self-proclaimed "mood music," is Cline's first for Blue Note Records, and will be available August 5. The Iridium Jazz Club in New York City has signed a deal with Entertainment One to distribute its new record label, IridiumLive, which will release audiophile-quality live recordings from the club.